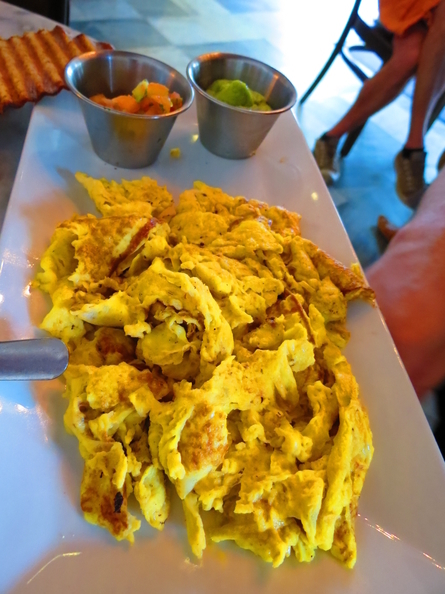 Our last meal in Puerto Rico was definitely bittersweet. 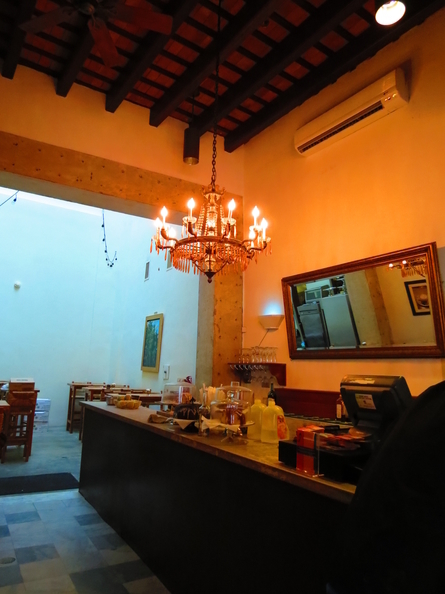 We had fallen in love with the island and had experienced much of its trademark cuisine. 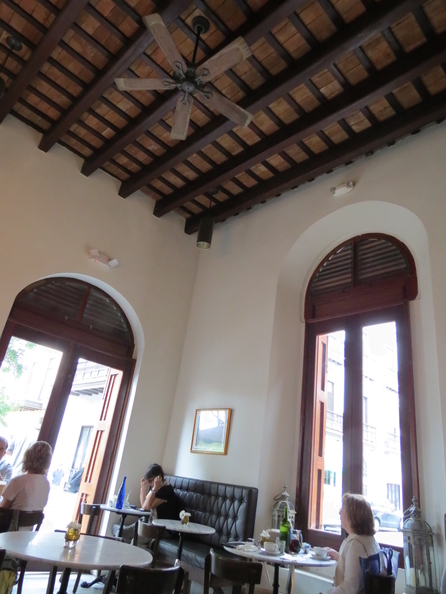 However, our last brunch in Old San Juan slowly brought us out of the city’s vintage charm back into present day. 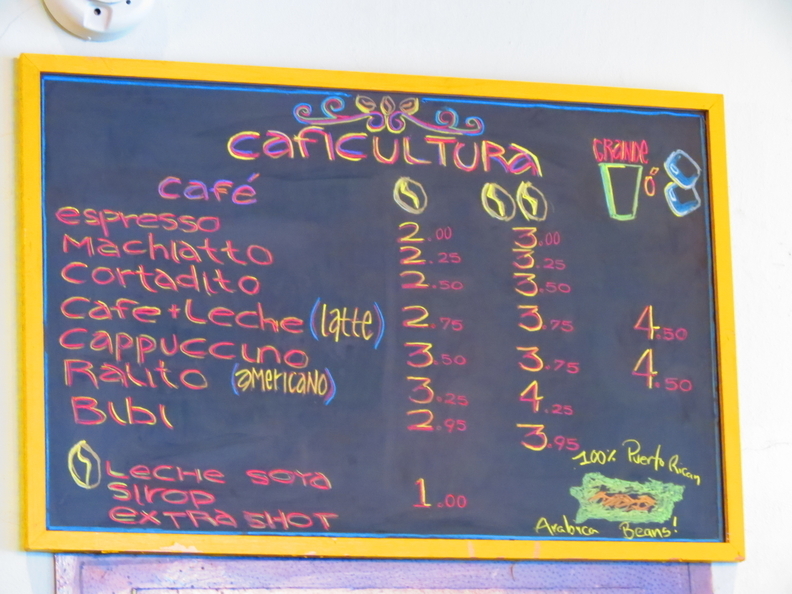 Caficultura, located in a hip dining neighborhood was exactly what we needed to punctuate our wonderful trip. 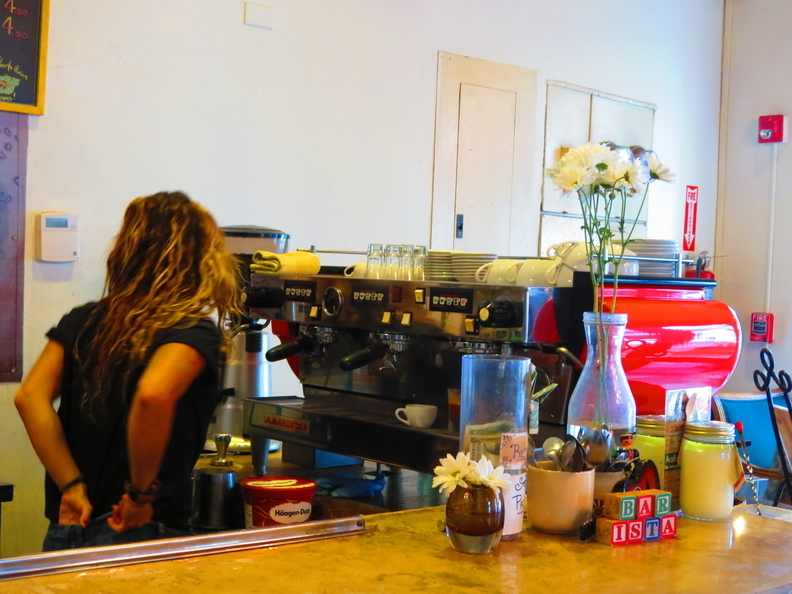 Well-known for their coffee, which is sourced from a local farm and is roasted in house, Caficultura reminded me so much of my favorite local coffee shops in Los Angeles. 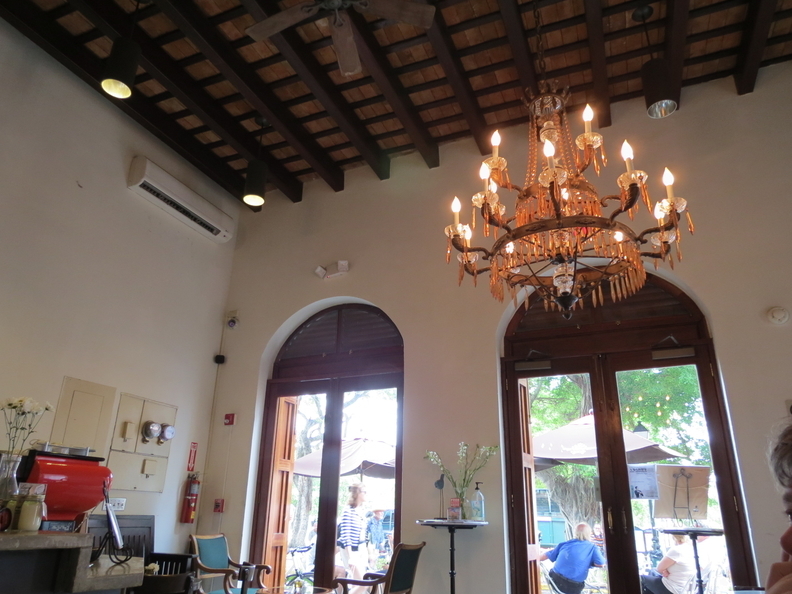 Playing off of Old San Juan’s classic European architecture with hip and bright decor, this place was virtually a hipster coffee geek’s dream come true. 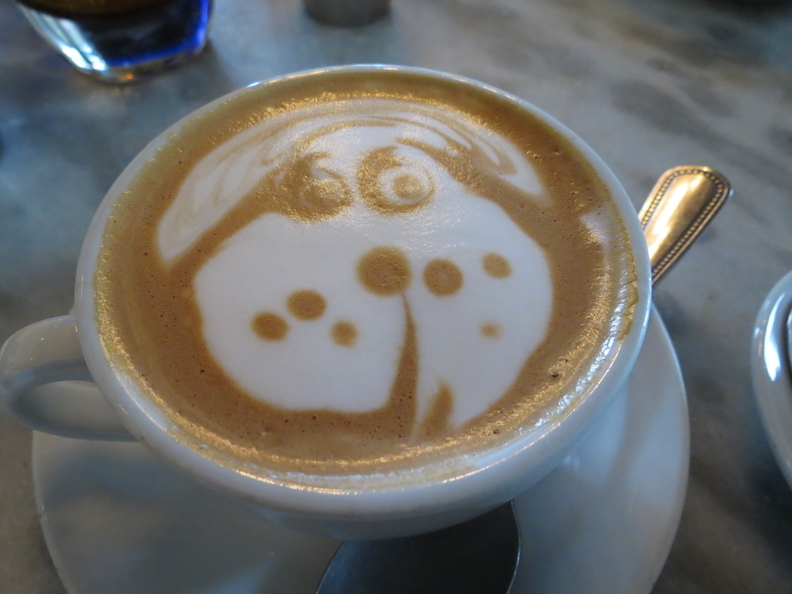 Fortunately, the coffee wasn’t just the only thing that would make this a must-try destination. They make one hell of a brunch and next to the traditional mallorcas at La Bombonera, they’re at a dead tie for the best morning meal of our vacation. The dish that won my heart was their sweet potato crepes (photographed above). 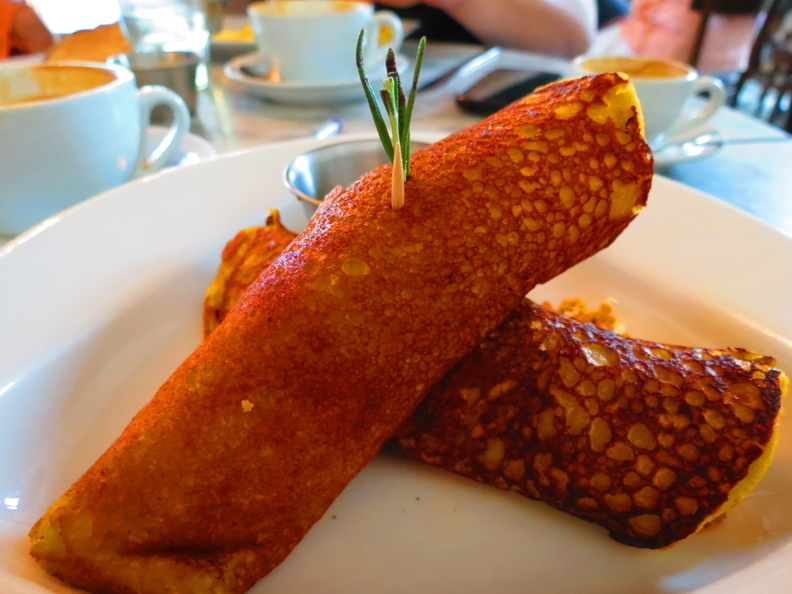 Two rich sweet potato crepes stuffed with delicious Puerto Rican longaniza (different from the Filipino style sausage) and creamy goat cheese. The sausage was tender and savory, playing well with the tangy cheese and the sweet crepe. Served with a side of maple syrup (which I barely even used because the dish was perfect), these little guys were full of flavor. 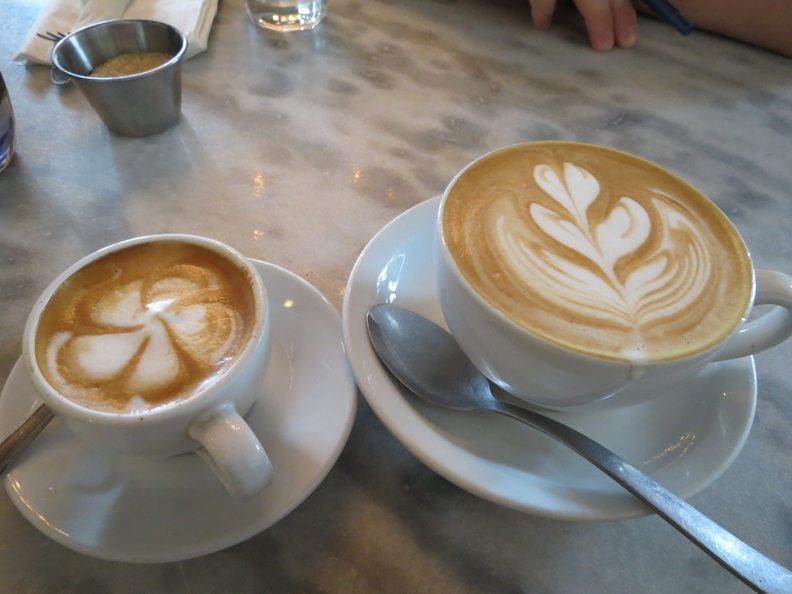 Their coffee was some of the best that we had on this trip. Deeply rich and nutty espresso without the bitterness provided the backbone to my machiatto and my mocha (decorated with puppy latte art) and their simple latte was irresistible. We enjoyed their coffee so much, we ended up taking some home with us. I am convinced that Puerto Rican coffee is very underrated on a global scale– overshadowed by Columbia and Costa Rica to the southeast. 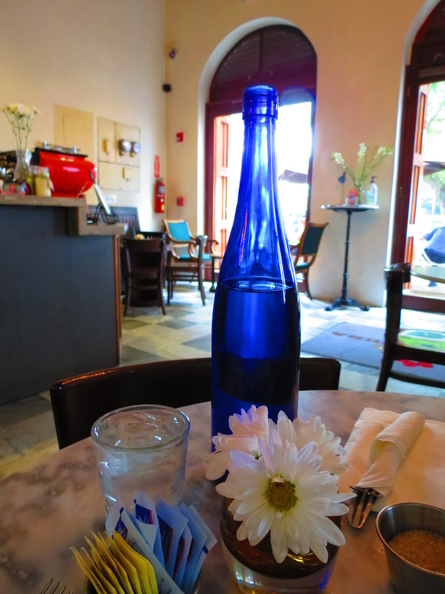 Artsy and local, if I lived in San Juan, I would probably come here every day. 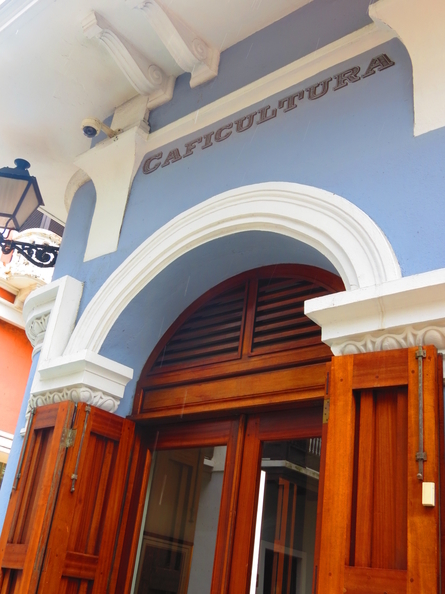 Caficultura is located at 401 Calle San Francisco, Old San Juan, PR.